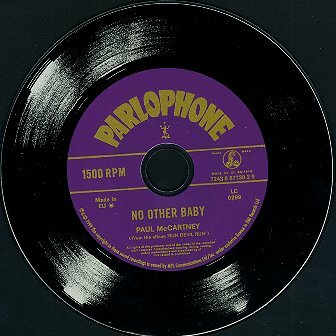 No Other Baby - The CD ! Detail : Paul's fifty-second single. 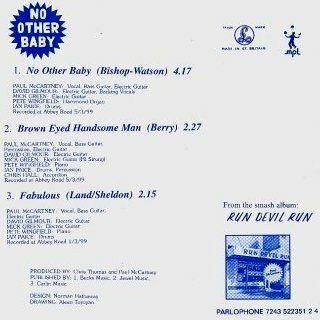 A single lifted from the "Run Devil Run" album, this was Paul once again looking back to his past and recalling music memories. 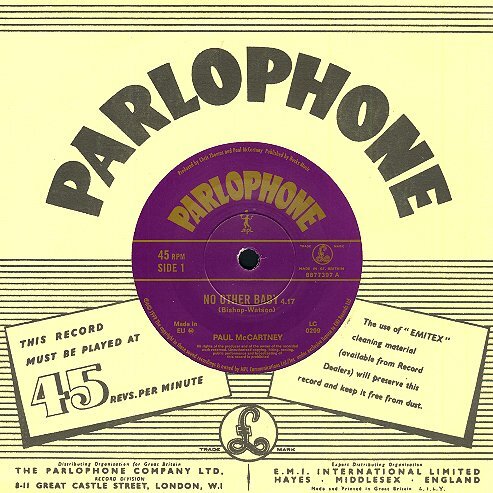 The A-side was originally released by The Vipers in 1958, and quite coincidentally, it was on the Parlophone label, catalogue number 45-R 4393, as you can see below ! 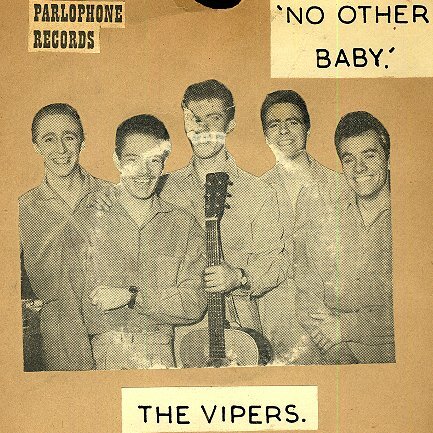 ... Also below I had the old picture that you can see of The Vipers attached to my second copy of the single ... yes I have two copies from 1958 !! 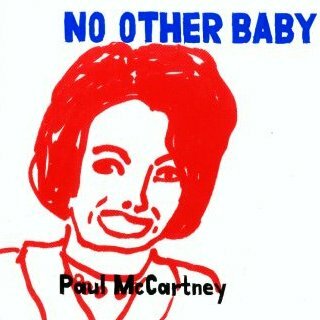 Incidentally, the B-side of The Vipers original is called "Baby Why ?". The same day a CD single is also released, which adds an extra track not found on the album, "Fabulous". The CD is pressed to look just like a 45, and wittily incorporates the speed as "1500 RPM" (see scan above). My copy has a catalogue number of CD R 627, but I'm sure this is a typo at E.M.I., and we'll document it as CD R 6527. A week or so later, a second CD appeared with the same track listing as the first. This is correctly labeled as CDRS 6527, and it's difference to the first ? ... a modern CD which has been mixed down to Mono ! It also has a very old picture of Paul on the front which had been taken by his brother, Michael, and comes with a free poster. "I've no idea how this one got so imbedded in my memory ... I never had the record, still haven't". Well, because I have two, I wrote to Paul offering him one, but ... "No Reply" ! 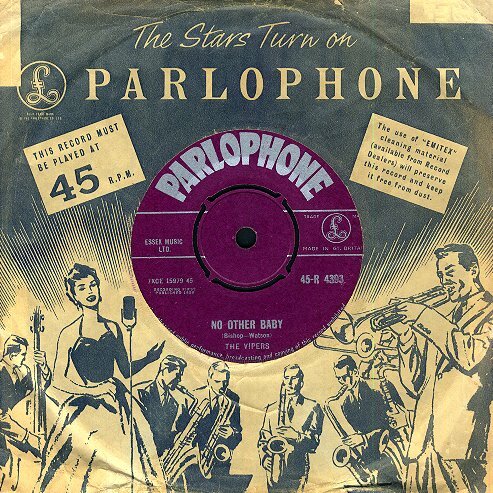 The single was released in an originally styled Parlophone cover as you see above. The CD has a drawing on the front by Aleen Toroyan, I'm afraid I don't know the history of this, but I'm sure there is a story there ! Picture of The Vipers !